I have completed my AccuQuilt cut quilt top that I was doing for the tutorial. It was wonderful to be able to cut the pieces so quickly, then piece those hourglass blocks (quarter square triangles) so easily thanks to the engineered corners on the cutting die. This will have to go on the back burner while I work diligently on my commission quilts that MUST be finished by Christmas. Now that you have cut your pieces with your AccuQuilt GO! or your rotary cutter (the hard way). 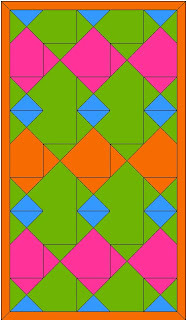 And (I hope) you made all of your hourglass blocks (also known as "quarter square triangle blocks") It is time to put the blocks together and make the quilt. First you will make four of block A. 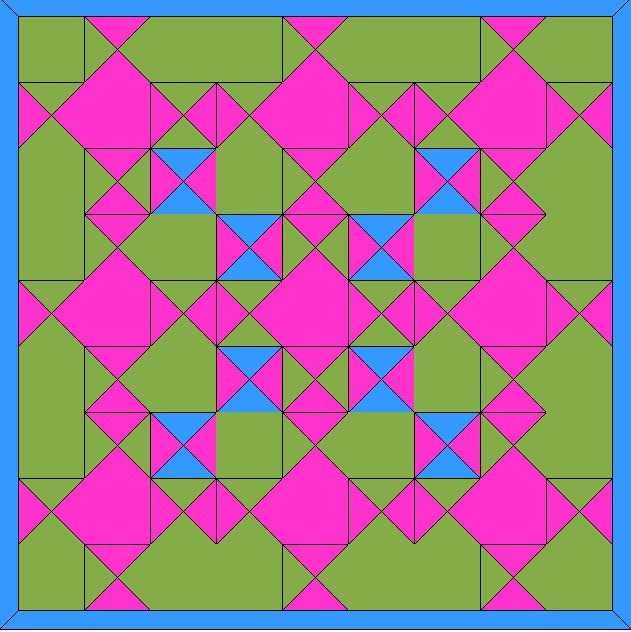 This will take 4 hourglass blocks,3 green squares, one pink square and one blue square. Follow the diagram below joining rows first, then joining the rows into a big block. Next make four of block B. This will take 4 hourglass blocks, 4 green squares and one pink square. Follow the diagram below. 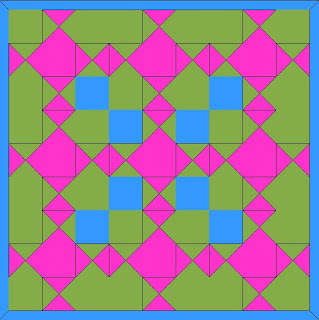 Finally, make ONE of block C. This will take 4 hourglass blocks, 4 BLUE squares, one pink square. Follow the diagram below. You will now have the 9 blocks needed to make the quilt. You will follow the diagram and join these exactly like you did for making the blocks. You can add borders if you like to increase the size. Thanks to the AccuQuilt GO! cutter this was extremely easy to do. 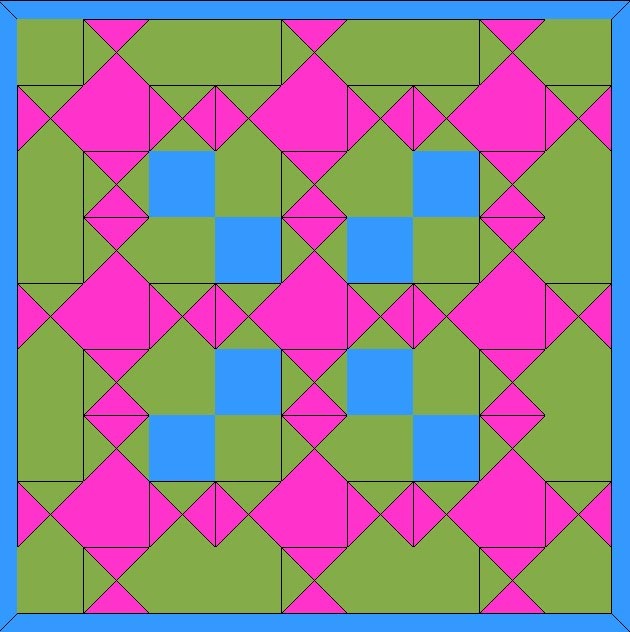 If you wanted to make Quilt #1 don't cut any BLUE squares. 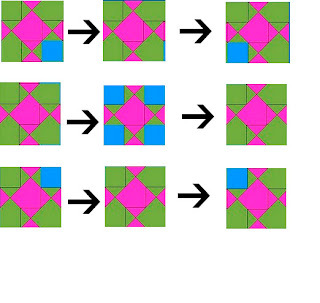 Instead make 8 blue/pink hourglass blocks. Substitute them in place of the blue squares in the above directions. 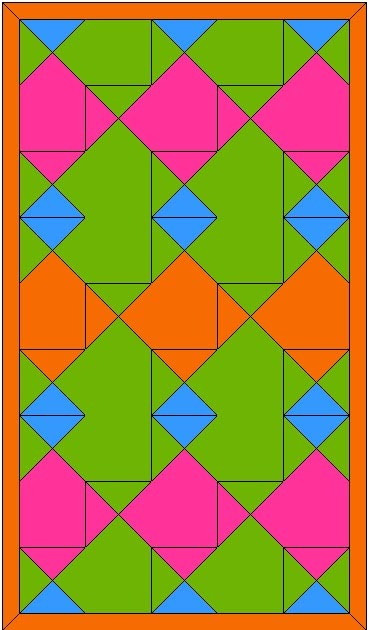 If you wanted to make Quilt #3, you will simply make all nine blocks like Block B. This is the easiest one to make as you don't have to pay as much attention to how the blocks are rotated. I hope you enjoyed this tutorial mini-series. I confess that I have NOT finished my top yet, but it is very close. When I get it finished you will see it here. 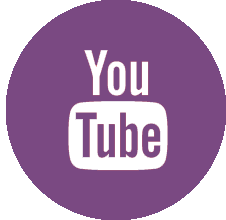 For your convenience I am adding links below to each step of this mini-series. 1. Designs -Which would you like to do? 2. And We will make a quilt! 3. Be a Cut up! Then to the current post for the final instructions. I would LOVE to see your creations using the tutorial. 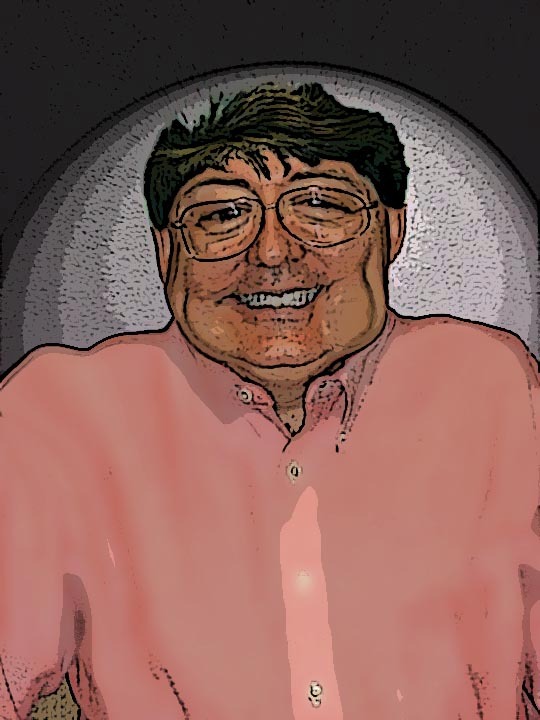 For that purpose I have created a Flickr Group where you can add your picture. OOOH! don't forget that October 1st is the BIG AccuQuilt Announcement. What is AccuQuilt expecting???? Here is the video that is the beginning of the project quilt. 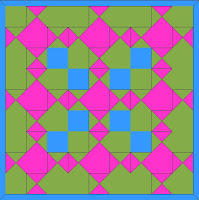 It shows how to cut and place the quarter square triangles to make the hourglass block that is a big part of this quilt. You can see the GO! in Action. You can learn a great anti-static tip. You can see the AccuQuilt GO! Quarter Square-4" Finished Triangle die up close and see how wonderfully fast it cuts those pieces. So what are you waiting for hit GO! on the video. In the next few days I will be posting a step by step how-to for making the 9 blocks you need for this quilt. Are you as excited as I am? In the video, I mention another video. So here is a link to Lee's stripper tips. Lee perfectly explains how to use the strip cutter dies. Even though he shows the 2 1/2" strip cutter, the concept is exactly the same for the 4 1/2" strip cutter. 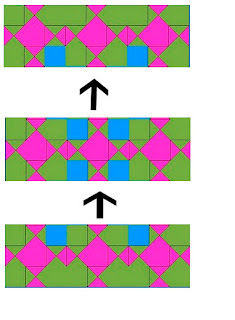 Please read all of the directions first if you prefer to make Quilt 1 or Quilt 3. You will have to do some of the work yourself, but you can do it. The directions tell you what pieces you will need to cut differently BUT the cutting instructions only have exact numbers for Quilt 2. I have not calculated the fabric for this (sorry) I am starting with a yard of each. I KNOW that the blue will only need a small amount and a fat quarter would suffice. I liked the blue I bought for this and thought some extra for my stash would be fun. If you cut some extra pieces you can make an accent pillow with them and the leftovers. This little quilt is only 36" square. However, I will probably be adding some borders to mine to make a larger baby quilt or lap quilt eventually. I highly suggest cutting with the GO! cutter if you have one and have the dies. You will need the 4" finished quarter square triangle die and EITHER the 4 1/2" strip cutter OR the Value Die that comes with the GO! If you don't have a GO! the rotary instructions follow. Cut 72 Quarter squares (background -green) This is 9 cuttings on the GO! as each cut equals 8 pieces. Cut 9 Large Diamond centers (pink) at 4 ½ inches. Cut these with the 4 ½ strip cutter OR the value die. 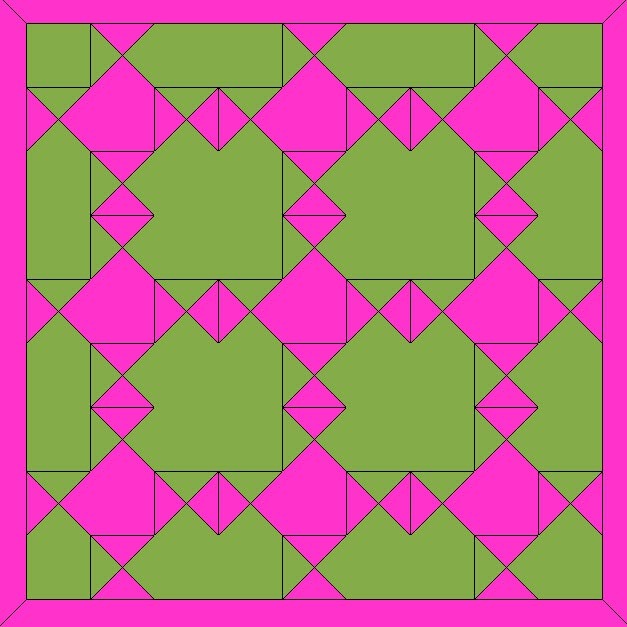 Cut 28 Background squares (green) at 4 ½ inches. 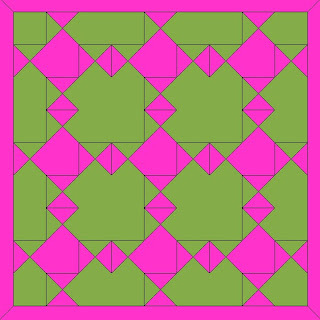 If you are using another method for the quarter square triangles, you will need a total of 36 quarter square triangle blocks (background-green diamond-pink) that are 4 ½” and finish at 4 inches. And We will make a quilt! Okay, I have tallied the votes for the "Designs -Which would you like to do?" post. If your choice didn't win, keep reading anyway. You might get a pleasant surprise. So Quilt Design 2 is the winner. I will be using the GO! cutter and the 4 1/2" strip die along with the 4" finished Quarter Square Triangle die. But if you don't have the dies or the GO! have no fears you can rotary cut. You will be cutting a lot of 4 1/2" and 5 1/4" squares. There are instructions for making the quarter square triangles "the hard way" (without the Go!) already posted at Patchwork and Quilting. I will tell that to make them finish at 4" you will need to cut the squares 5 1/4 " in size. So for those that think the GO! may waste fabric - I am pretty sure it is no more wasteful than other methods. I think I use less since I don't make cutting errors. Okay, this post is a tease, since I will work Saturday making the quilt and writing the instructions. I just got the dies delivered by the Brown Truck today. I wish I didn't have to GO! to my job tomorrow so I could use them right away. But I need food and money for fabric and notions, so off to work I will GO! Oh, for those of you that wanted to make the other quilts (Quilt 1 or Quilt 3) it is pretty easy to make it while the rest of us make this one. You will just need to change 8 of the 4" squares. Yep that is the only difference in quilts 1, 2 and 3. There is EXPECTING going on ! I found out that Accuquilt is expecting a bundle of JOY. Now I have to tell you that I like joy! I like Ode to Joy by Beethoven. Of course we will have to wait to see what kind of bundle we will get. The sonogram is not clear. I hate it when I have to wait, but I will be waiting with eager eyes and ears. It seems the "mother" is set to be induced on October 1st. So we will find out then. And Ooooh boy, that is the day after my birthday. How cool is that. It would be more cool if I got to SHARE my birthday, but that is just not to be. Oooh boy, do I like that! The announcement is really cute. I am betting that the actual "bundle" will be even more cute. The video is cute too, you can see it right here. If you want to keep up to date on all thing AccuQuilt - Like them on FaceBook. You never know, they may give away one or more of the new whatever it is. Designs -Which would you like to do? First let me give you an update. The Big Giveaway I am going to have will be later. I am not sure when. It is still in the works. Apparently I GOT too excited and told you all about it too early. My apologies to you all. Now for the good news. In the next few days (or maybe couple of weeks) I am going to be showing you how to make a quilt or table runner I have designed. The table runner pattern is easy to upsize to a quilt if you prefer to make a quilt. The quilts are not so big that they couldn't be large table toppers. However, if you wanted to make lots of blocks, you could move right on up to bedsize easily with these. So folks, which would YOU want to make. I am hoping for a LOT of comments. Remember VOTE so you can choose which one YOU want me to show how to make. Will it be the table runner, quilt 1, quilt 2 or quilt 3 ? Tula Pink has been ripped off by some cheap fabric company. She is OUTRAGED. Go read about it. This is where you realize that stealing an artists work is a bad thing. I know I would be very upset if they stole copies of my paintings and printed them on what is essentially cardboard and sold them in a discount store. Tula, I feel your pain! I hope you sue and get a HUGE settlement! Due to technical difficulties with the communications elves, the giveaway is being postponed. Those darned elves have me hanging in limbo here. I Don't know what to do!!! So I guess I will mention that my birthday is coming soon. I think I should giveaway something for my birthday. What do you think? 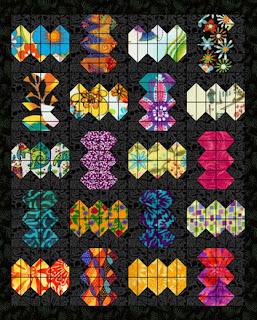 For the Techno quilter, I am offering a pdf of my Japanese Lantern's quilt. While it is designed to be used with the Accuquilt GO! cutter, it also has a template for rotary cutting that you can print out. That way, anyone can use the pattern with or without a GO! What do you mean you aren't a techno quilter? You are reading a blog, you are most likely using a computer. 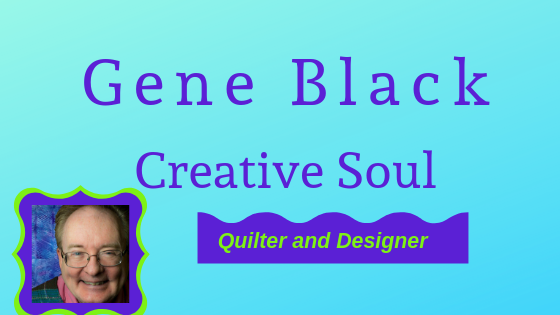 So if you quilt too, you ARE a Techno quilter! I will email the file to the winner after the end of September which is my birth month. I may be celebrating on the 30th, but I will have the drawing for this small prize The weekend following the 30th. So tell me why you would like to win my pattern! Be sure I can contact you by email or I can't send you the prize. I will use the random number generator to pick the winner. Maybe I will have another, bigger giveaway posted soon! Meanwhile, here is the picture of the Japanese Lantern quilt. Good luck, and be creative with your response. I just may have another prize to send to the most creative answer. The box to subscribe is in the right hand sidebar. Special thanks to Deborah, for the inspiration to do this. I am putting the picture in so I can see what happens with the pictures in the email subscription. As you can tell, I am not so vain that I have to look good all the time! Some days I feel like the luckiest man alive. Today I got two nice envelopes in the mail. Bliss Charm Packs --AHHHH I can feel some Bliss! The giveaway also had a pattern for a purse as a prize. Bev was so nice, she emailed me and asked if I would like a quilt pattern instead (since I am a guy) -So my package also had a quilt pattern in it. Yaay! Then there was the other envelope. I had won a prize that I didn't know about. It seems I entered on eBay and won a $25 gift certificate. How cool is that? eBay, look out, I am going shopping. Now I have to put a little teaser here. I am hoping that YOU will be lucky soon. I will be posting a giveaway on Saturday. Be sure you come and check it out. It is going to have a much coveted prize. And that is all I am saying for now. I probably already have gone and said too much. Did you notice the name on my blog? Right up there it says "an Alabama Artist." Yes I know I have been posting a lot about quilting. Quilting is an art form also. But quilting is not my only creative outlet. I need lots of different avenues. One of the ones that I have had for a long time is painting. Actually this blog started as a way for me to talk about paintings with people. Then it evolved into a lot about quilting. At work, we are getting ready to move from one location to another. In my current location I have room to hang a number of my paintings. Sadly this is not so in the new location. There it will be cubicles. So this painting that had been hanging on the wall in front of my desk, will be coming home with me. I love this painting that I created. It has lots of visual texture. Part of the texture is from a stamp I carved. This stamp is nicely featured in this painting as the bridge that is the "Forbidden Crossing." It has nice contrast and a vivid color scheme with a "near compliment" set of colors. Now I ask you this: Do you see a relationship to how I piece quilts in this? Do you see a similarity in my quilt colors? Do you think I should start adding some paint to some quilt fabric? Have you been to my website and seen my paintings? This is my first try at using the instructions for the free motion quilt along on a "real" quilt. This part did really well. My "dna" lines twist together well. My deep wavy lines are pretty regular. I got a little wild on this part. (sigh) Maybe it was too late when I did it. Notice the "barely wavy" line? It almost went straight here. Ha ha. No fears though. This is a learning experience. I have been building this evening. I got an email that my order had come in and I could pick it up. Great! I want it....I need it - that is why I ordered it. No, I am not telling you what "it" is yet. Didn't you read the title? It is a mystery. So I got the box home and opened it. LOTS of pieces and hardware - hmmm. I think - does that mean lots of work? So I started laying out the pieces to get an idea what I was dealing with. At this point I am having thoughts - not necessarily nice ones - about the manufacturer. I am also thinking of going back to the website and looking for the fine print that mentions that "an engineering degree is helpful, but not required" Oh yeah, and how about that disclaimer that should have been there about needing 3 hands and a contortionist's body to manage some of this? Where was that???? Notice the drop leaf on the left that will extend the length of the top. I am not yet posting an "open" picture because it is incomplete. However, there will be room to put my sewing machine AND my serger inside it for storage. AND it opens up and the machine in use goes right on top. 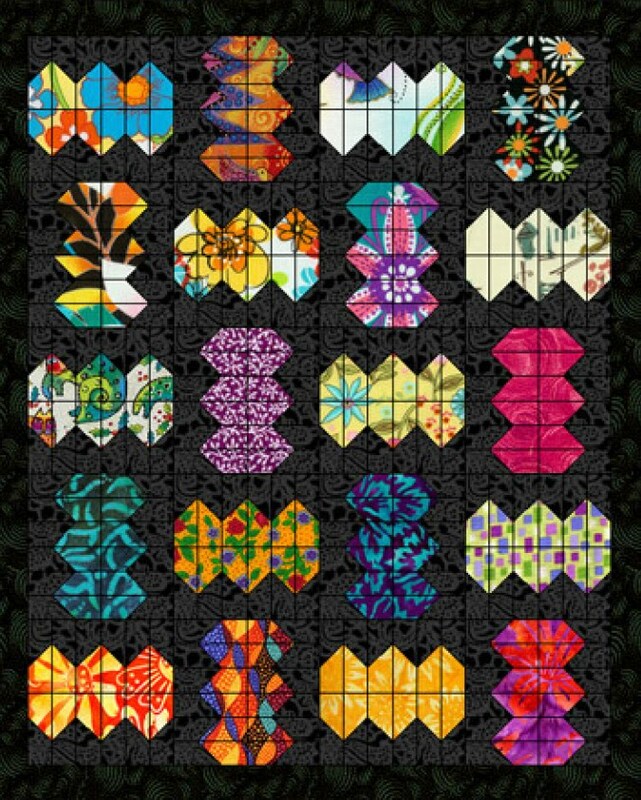 A little while back, I found out about this new quilt along. This one is very different. Instead of making blocks and ending up with a quilt top (also known as a flimsy,) this quilt along is all about the quilting part. Free motion quilting is what we are learning in this. I have done free motion but I want to get better. It is an excellent goal, don't you think? This is over at A Few Scraps blog. We have learned about things that are needed, how to set up your machine and got instructions to make a simple- VERY simple- quilt top. It is important to not be attached to the top you are learning on. Yesterday the first bit real quilting instructions were posted. It is really simple lines and shapes, but simple can be surprisingly difficult to do well. Here are a few pictures of my sample quilt sandwich -the practice pad! This picture shows a bit of all of it. I kinda cut off the close together straight lines. 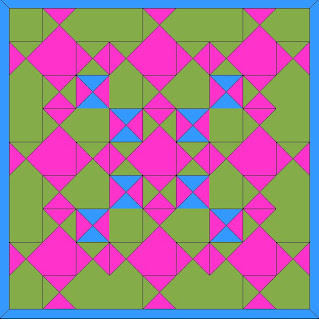 Here are the zigzags that go between some of the straight lines. Reasonably even stitches- Yaay! You can see the close straight lines in this too- stitches not as even. This shows the loops. I am VERY HAPPY with the stitch length on the loops. They were the last step. I think that shows why you should always do a bit of practice prior to working on your precious quilt. It helps to get you into the groove and get your stitches regulated with your hands, foot and eye. 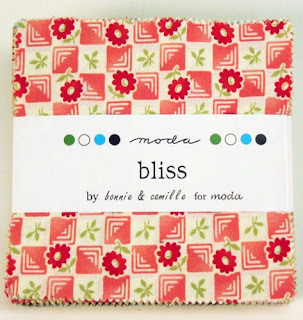 I am happy to say that this quilt along is one that will make a difference in my free motion work and hopefully embolden me to quilt larger quilts on my machine without doing "quilt as you go." Why don't you go over to afewscraps.blogspot.com/ and join us? I admit I waited till the very last minute for round two of the "Stay at Home Robin"
But I jumped right back on the horse and did round three today! So I am way early. I guess I got in a very artsy mood and really tried something new here. At the bottom with the circles is a muslin strip..it looks almost white and "not there" but it is there. Then on the other one, I got really artsy and tried something else new. I took a piece of ribbon, that famous zigzag stitch and couched the ribbon on. I have never used ribbon on a quilt before, much less couched it down. I have never couched anything on before. I LOVE IT!!!! The couching is with a gold thread. I left the gold thread in and added a few leaves that are decorative stitches on my machine. How wild is that? I used the same muslin on them both. Because it was already in my hand and made a good background to play on. Now it is a month till round four. Oh my....whatever will I do? I may have to make a little art quilt to try some more fun stuff on. Who knew couching could be fun??? ?